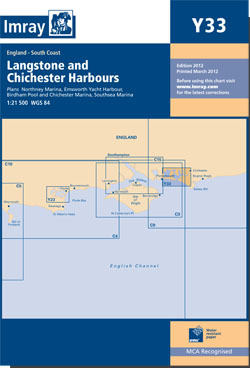 The whole of Langstone and Chichester harbours including approaches and entrances. Scale: 1 : 21.500. Larger scale plans of Northney marina, Tarquin Yacht harbour, and Birdham Pool and Chichester yacht basins. Current edition updated using latest known depth surveys. Marina developments at Southsea included.